The captain of the girl's shogi club Kaori challenges the captain of the boys' shogi club, you, to play a shogi match. 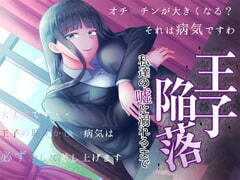 You will be seduced in this binaural reverse r*pe voice drama. In obedience to an imperial order, you are going deep in a dungeon. When doors of the demon lord's room come into your sight, a girl tempts you. This is a voice drama with the theme of reverse r*pe where a hero is framed by a succubus so that he becomes unable to achieve his initial purpose. Your grade sheet will be messed up by the honey trap of your girlfriend... This is the 2 in 1 voice drama set themed on honey trap.